Winds Howl and Thunder Crashes! Ride the wind with the surging power of the Legendary Pokémon Raikou! This high-voltage deck has the support to charge up potent hits—and runs some risks for the big Knock Out. 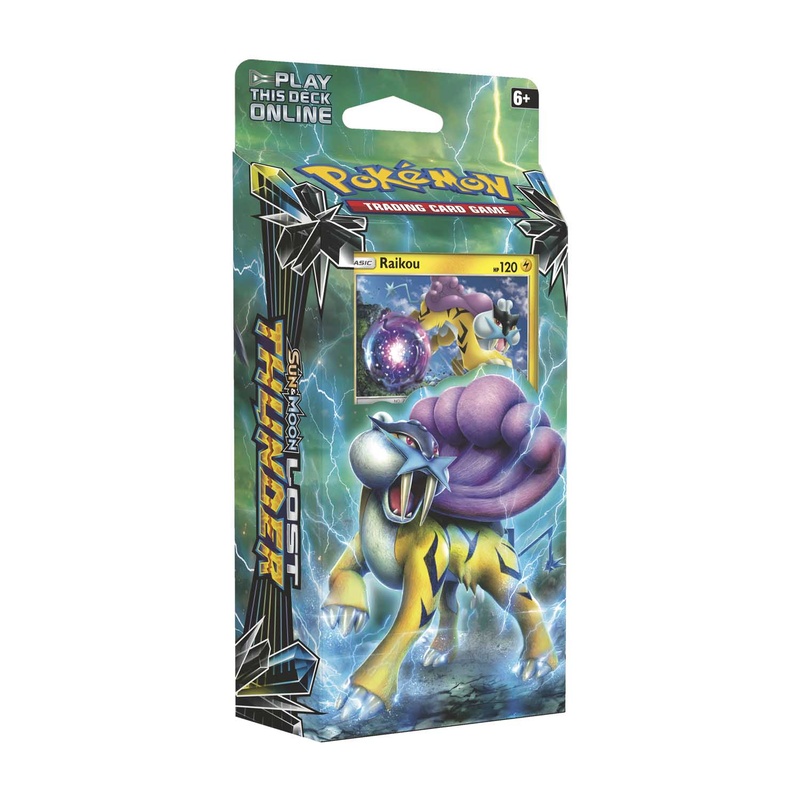 Master the lightning with the Storm Caller theme deck! 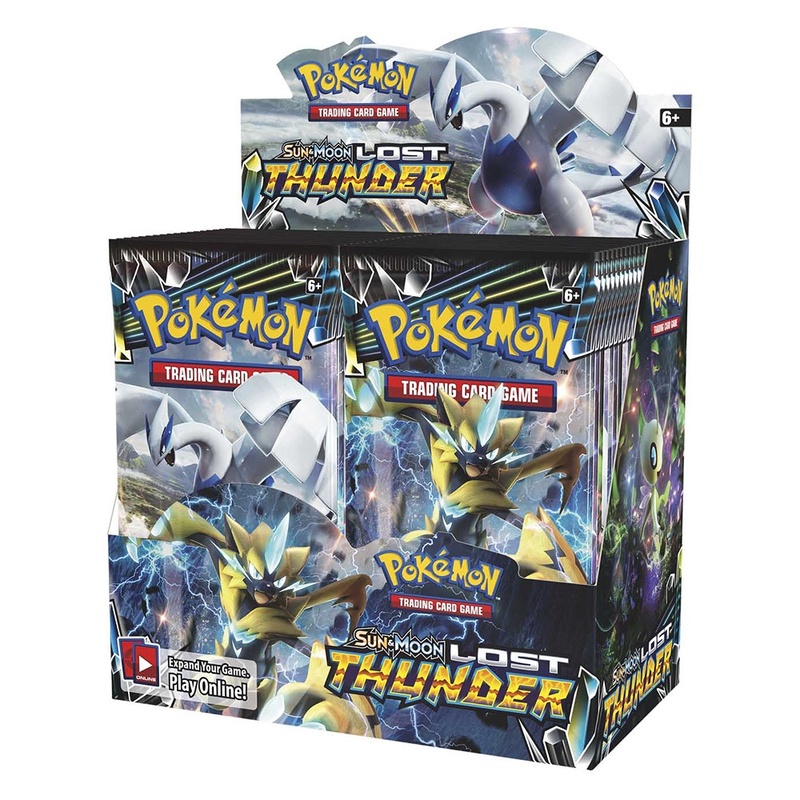 In this box you'll find: 60 Pokémon card deck 1 card checklist 1 metallic coin 2-player playmat and rulesheet 1 code card to play this deck online 1 deck box Damage counters Coin may vary by product. From Small Sparks to a Raging Volcano! Release the red-hot power of the Legendary Pokémon Entei! This slow-building deck combines the power of Fire and Grass types to fan a small flame into a raging inferno. Burn your way to victory with the Blazing Volcano theme deck! 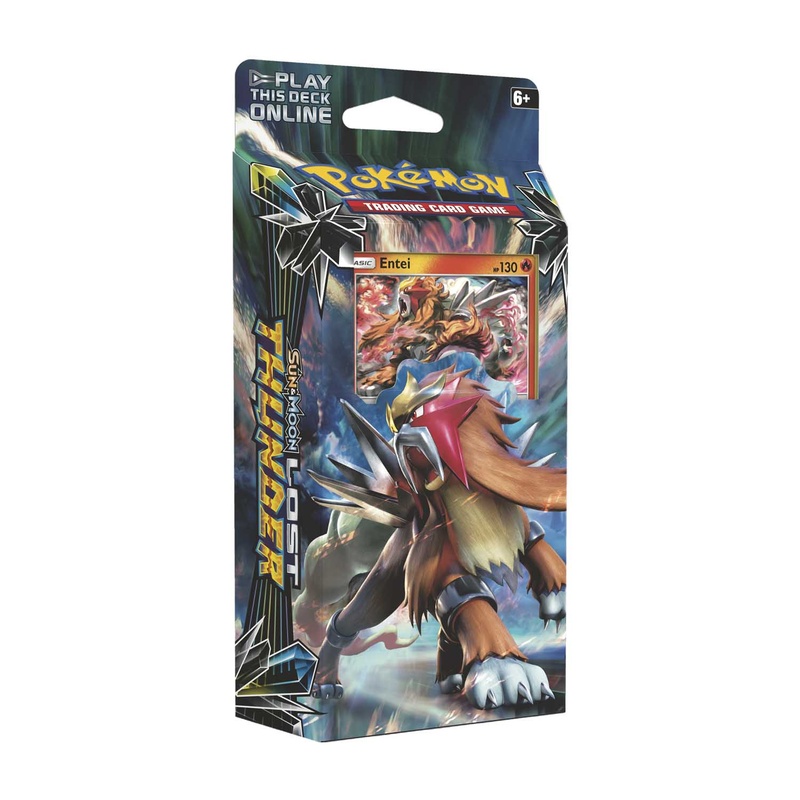 In this box you'll find: 60 Pokémon card deck 1 card checklist 1 metallic coin 2-player playmat and rulesheet 1 code card to play this deck online 1 deck box Damage counters Coin may vary by product. Travel to the forested hills, where the fragrance of incense from ancient shrines and the sparks of high-voltage Pokémon fill the air! 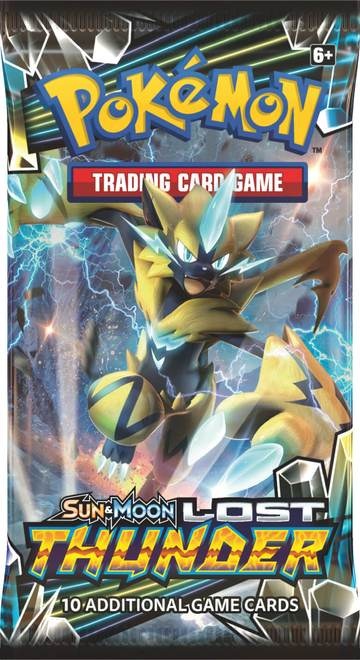 The Sun & Moon – Lost Thunder expansion fuses the new with the traditional, featuring Celebi and Ditto, plus Blacephalon-GX, Lugia-GX, Tyranitar-GX, and the newest Mythical Pokémon, Zeraora-GX! Call down the big thunder and charge up your deck with the high-powered Pokémon in the Sun & Moon – Lost Thunder expansion!